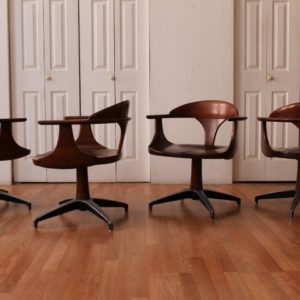 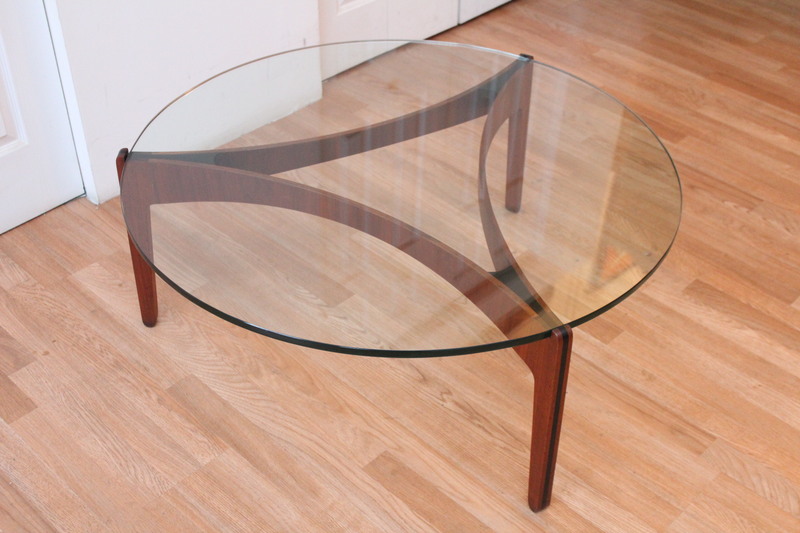 Sven Ellekaer for Christian Linneberg beautiful Rosewood coffee table. 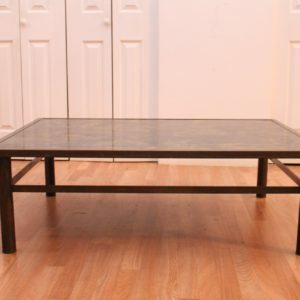 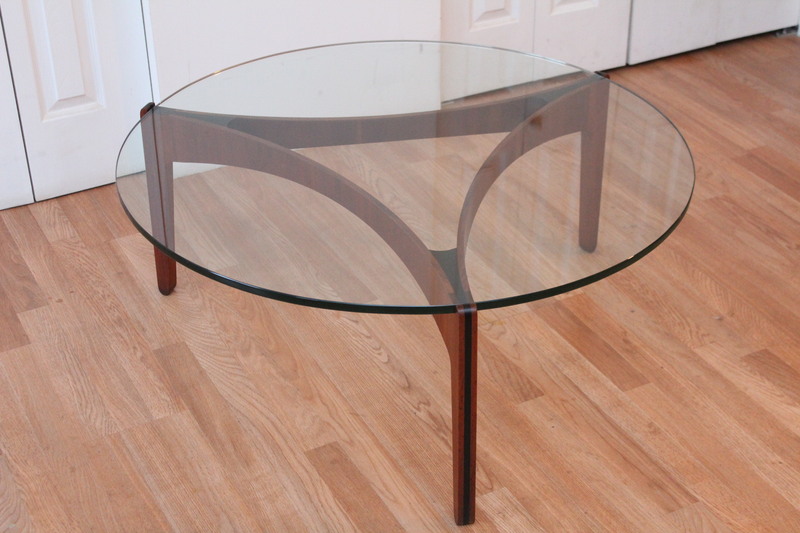 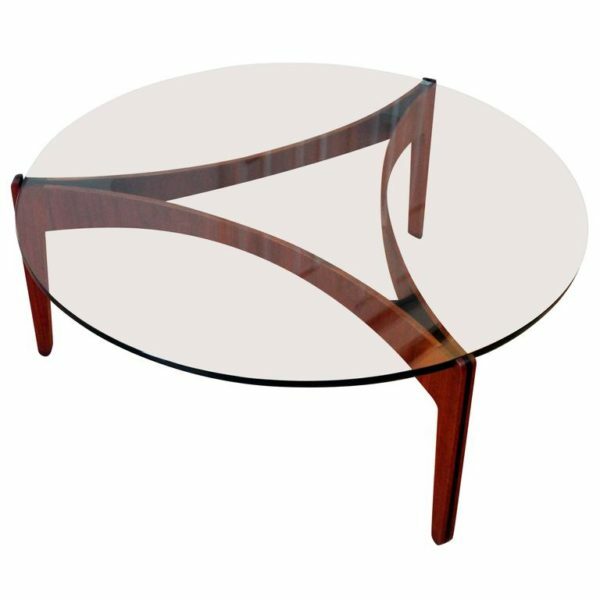 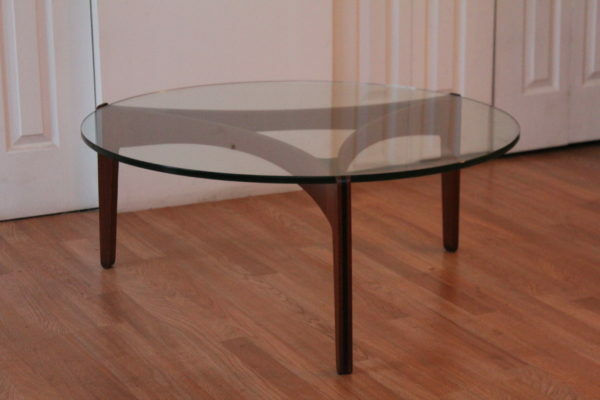 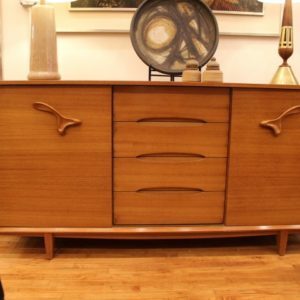 Rare Sven Ellekaer Danish modern coffee table in Rosewood, ebony and a clear, thick, finished edge glass tabletop. 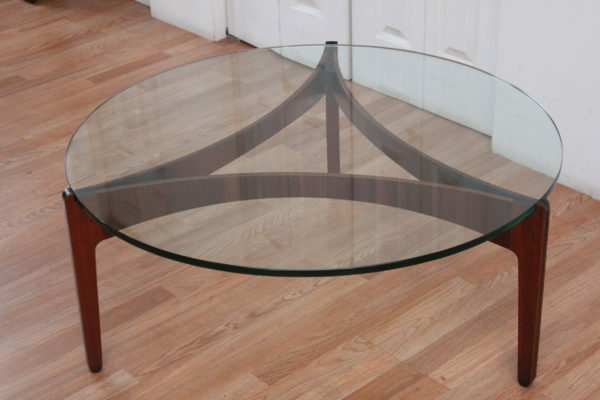 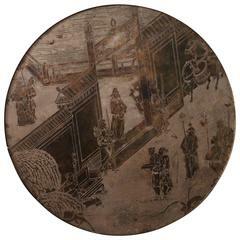 The round glass top perfectly fits into the frame and creates an interesting contrast to the triangular frame.